Iowa, USA! It is always such a pleasant feeling to exchange big city life with rural Iowa for a month. My dad met us at O’Hare, and took us home from there. It worked well, and probably saved us some time rather than trying to fly to Iowa from Chicago (although it cost my father some extra time…). We spent the first few days enjoying some of the things that we miss most about our home state. We will often talk with our friends about the meals that we have to eat while we are home. Below is Angela’s staple must-have, purchased from That Place near Marshalltown, Iowa. The first weekend that we were home, Angela and I traveled to Decorah, IA to meet up with some of my college friends. We camped in Decorah with Nate, Jeremy and Jake pictured above. The only one missing from the photo is Joe. It happened to be the 4th of July while we were there, so we decided to head to Spillville, IA for their fireworks display, which is supposed to be one of the best in the area. My good friend Ray talked us into coming up before the fireworks to play in Spillville’s polka band, so we did this as well. Angela even subbed in on trombone for a little bit. This also allowed us free entry into the fairgrounds! After saying goodbye to our dear friends, we headed back to Angela’s hometown of Marshalltown, IA. I didn’t include a link for Marshalltown – no offense, Angela. Angela’s family moved into the countryside at the end of last summer, so this was my first time to stay with them in their new house. It was a lovely place to relax for a few days. After that, I went to stay with my parents for a few days, visiting my brother in Iowa City along the way. 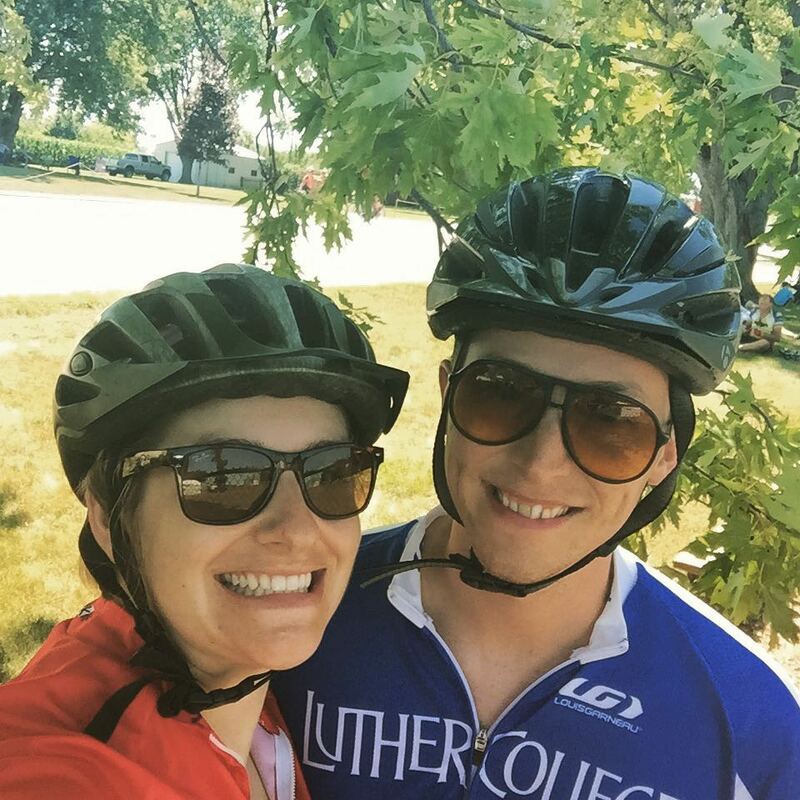 Angela and I did a few interesting bicycle rides this summer. 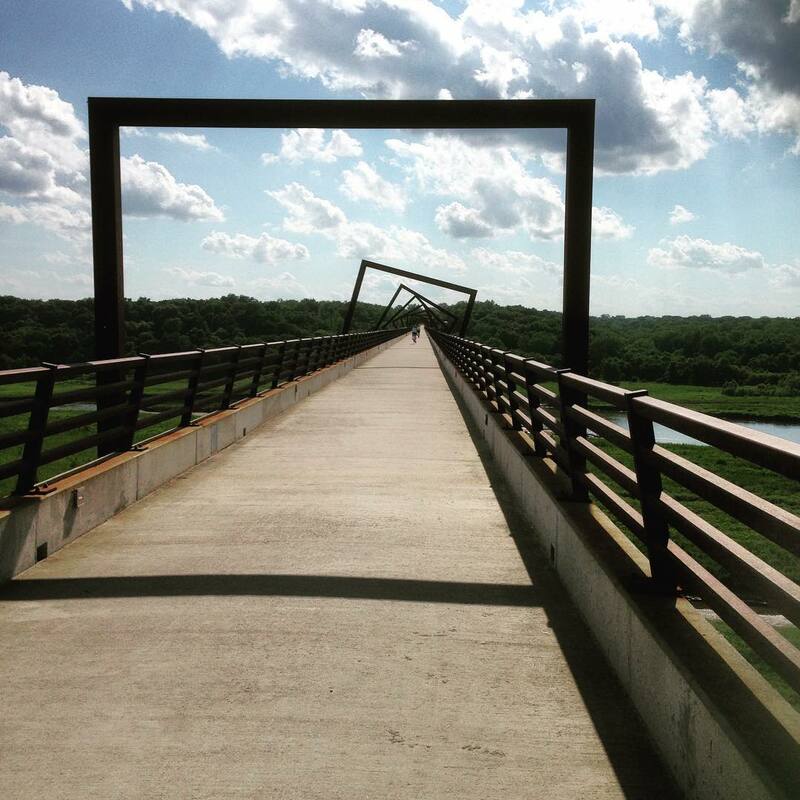 The first one was on the High Trestle Trail, in north central Iowa. It has a distinctive and cool half mile bridge over a beautiful valley. On our second bike ride, we went to Melbourne, IA from Marshalltown. It was a nice ride, and there is a bike path for the entire way which was pretty cool, but there was not much to say about Melbourne. 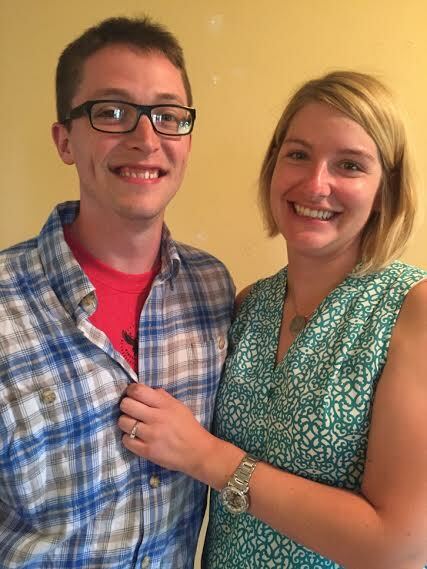 However, Angela and I did get engaged on that 40 mile bike ride, much to the relief of our family, and the excitement of us and our friends! 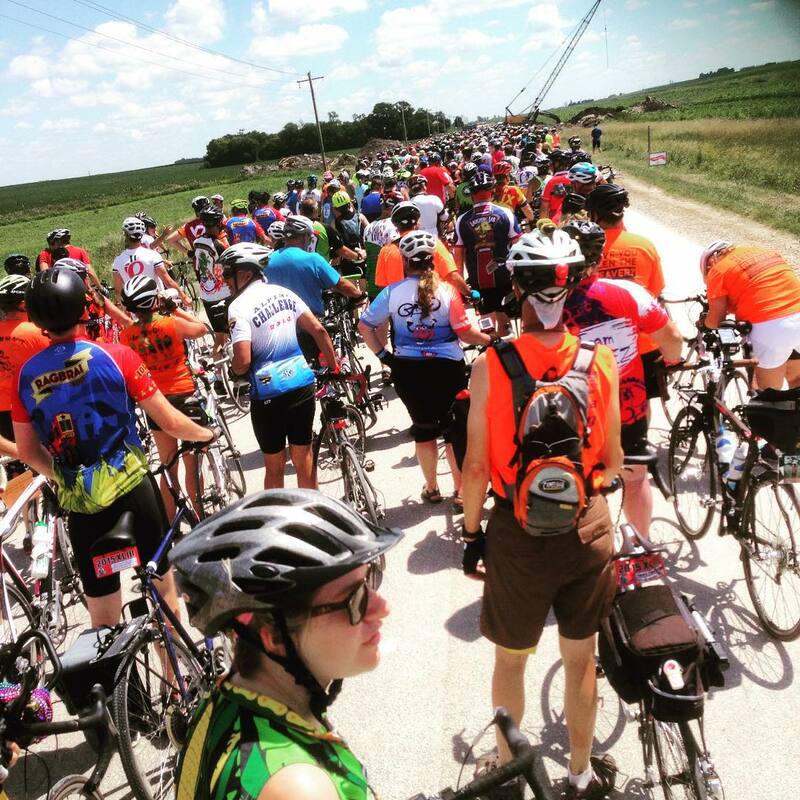 This summer, Angela and I had decided to go on the great bicycle ride across the state of Iowa, called RAGBRAI. We talked my father, brother, aunt and two uncles to join us. 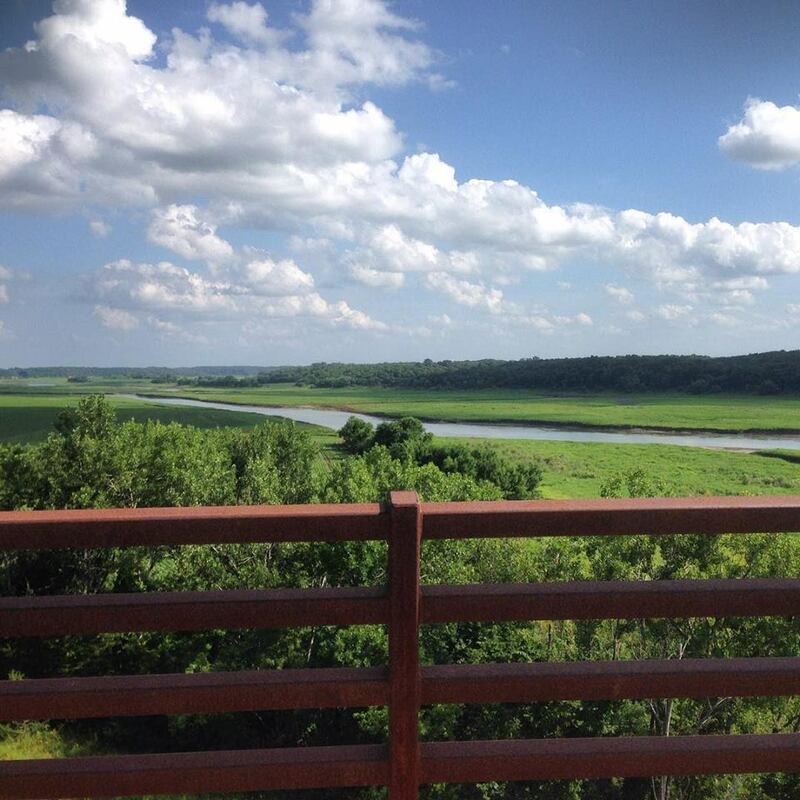 This bicycle ride goes from the Missouri River to the Mississippi River and spans the entire state of Iowa. It is split into 7 days, and each day averages between 60-80 miles. There are around 20,000 people who participate in this ride. It is quite a party. Below is the route that we took across Iowa. My father and my aunt did a little bicycle riding, and they also drove our ‘support vehicle’ for the week, carrying our luggage from town to town, and stopping to meet us for lunch halfway through the day. We had arranged to stay with people that we knew, so we stayed in a house (and usually a bed, also!) in every town. 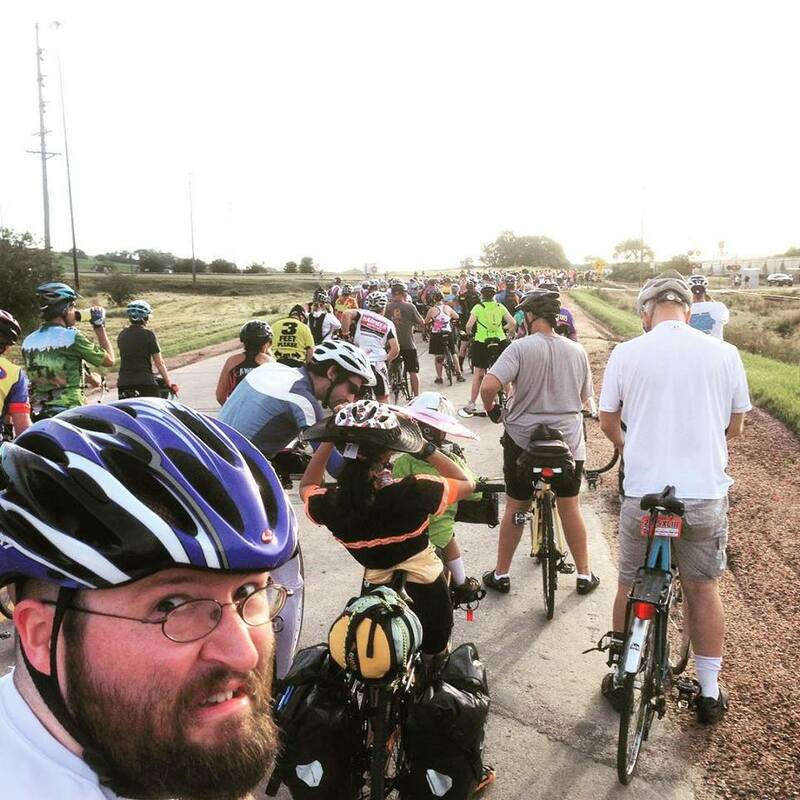 My brother Eric is bewildered by the bicycle traffic. Above, Angela waits to walk her bicycle across some road construction. We waited for a long time. 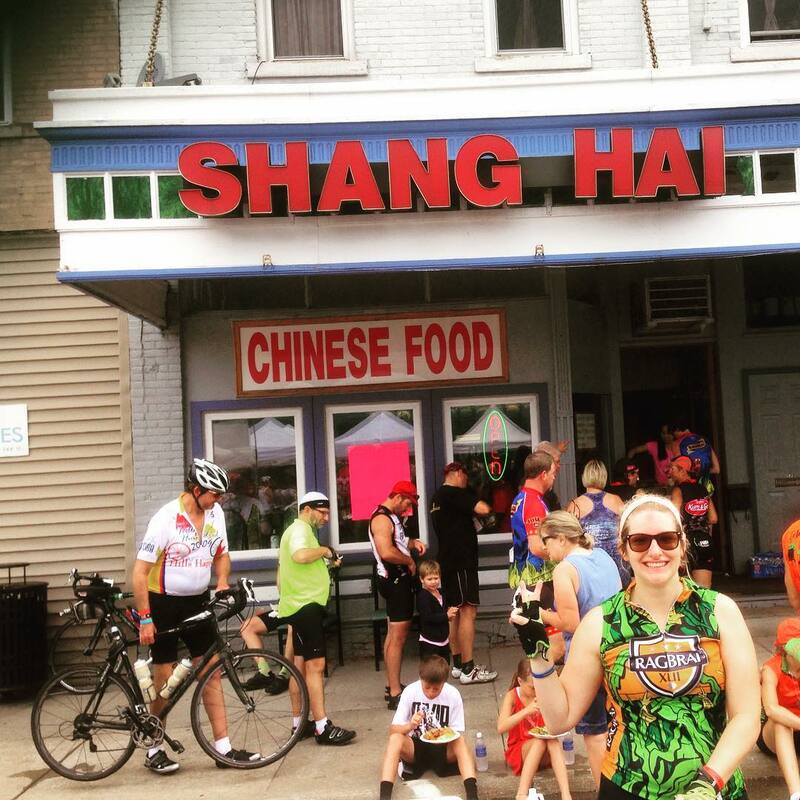 In West Liberty, Iowa, we found that the local Chinese restaurant was named after the city that we live in. 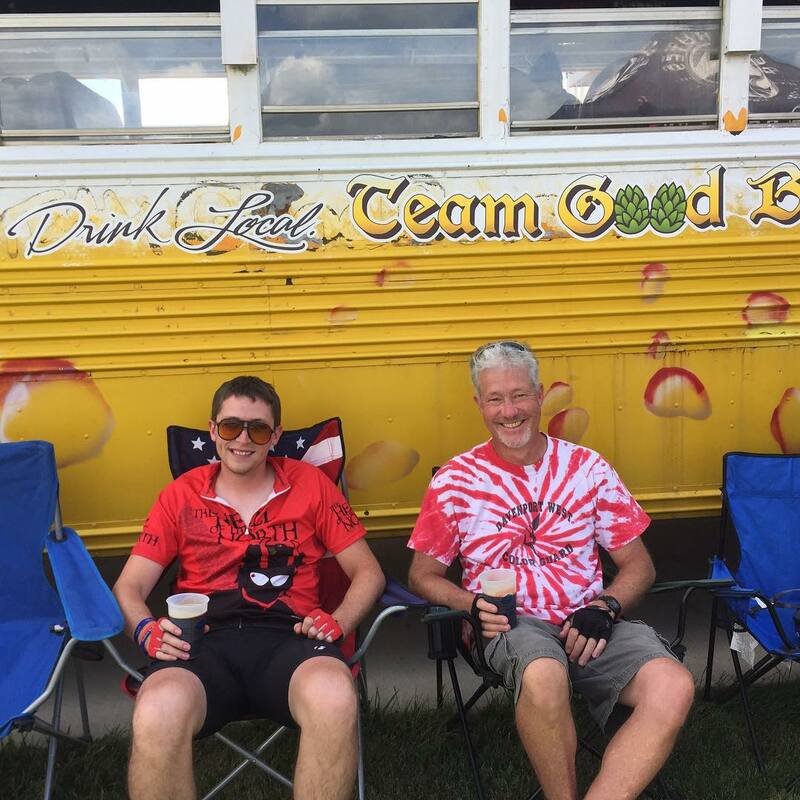 Team ‘Good Beer’ had a bus stocked with kegs of craft beer. They would give out free beer every day, and on this day, pictured below, we found them! Angela got a massage while my dad and I drank some free beers in Parkersburg. In Whittier, Iowa, there was a Quaker meeting house, along with a graveyard. My great great grandparents were buried in this graveyard, along with a few other Mott’s. My aunt drove several of my relatives to Whittier to explore the meeting house while we were biking. Luckily, we got to see it along the ride as well. It was cool! But locked. 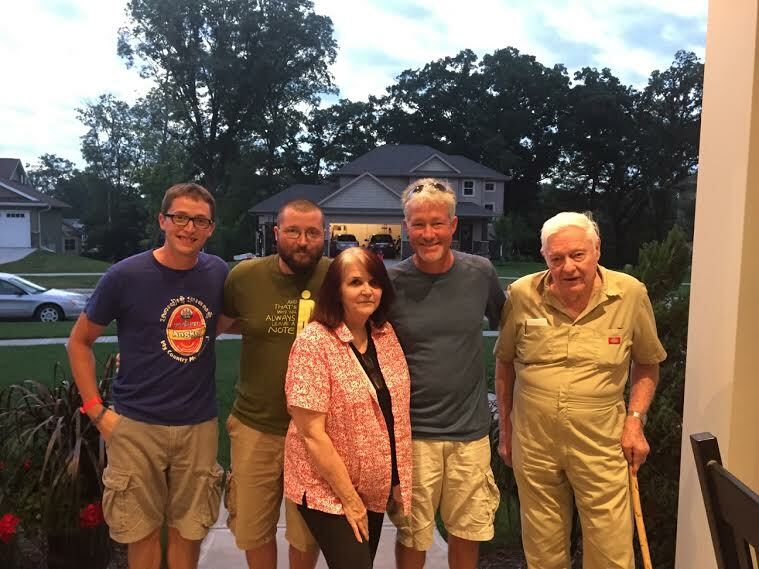 We stayed with my cousin and her family in North Liberty, IA and many of my family members met us there for a little reunion. It was a lot of fun, and wonderful to be able to see everyone in one spot. 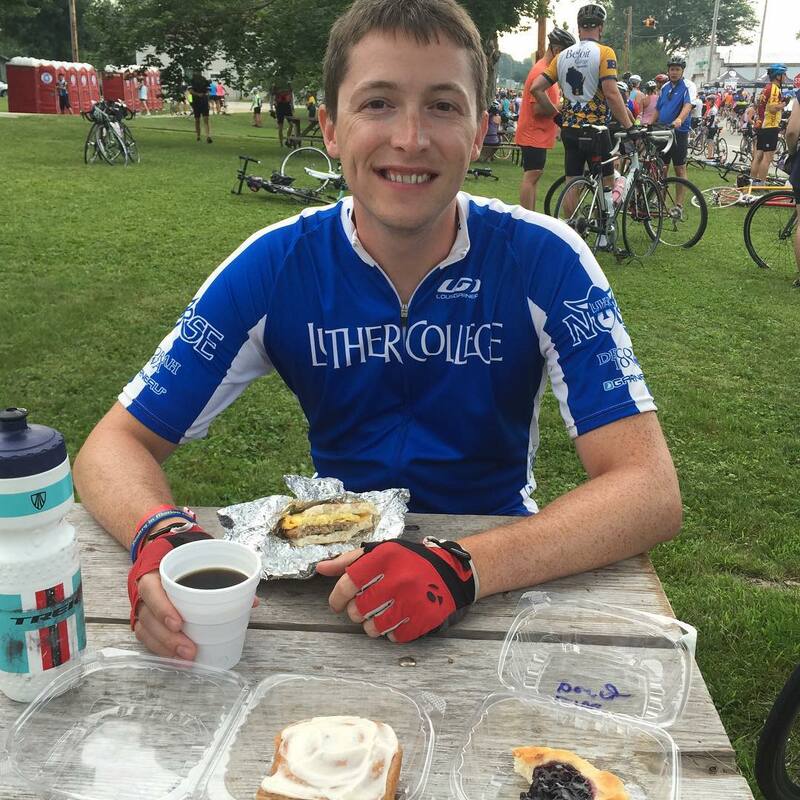 We finished the entire week in Walcott, IA ( we didn’t actually make it all of the way to the Mississippi River…) where my other grandparents live. We stopped at their house, and my grandma fed us while we recovered from our long week. It was a good week. I don’t know if fun is the right word, but I did enjoy myself. 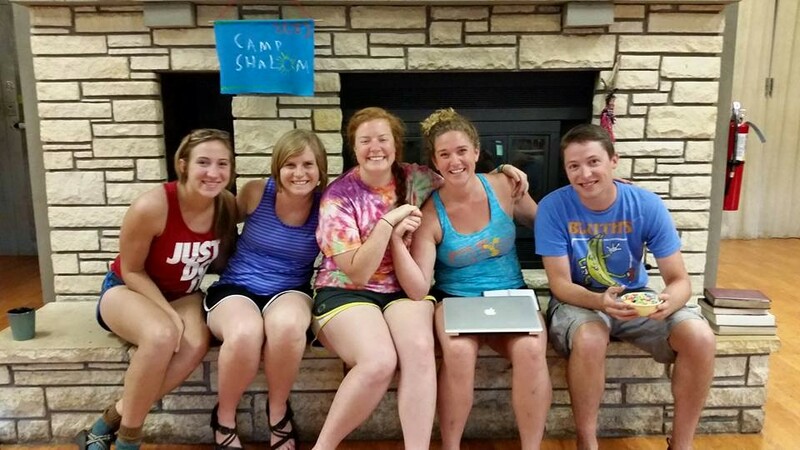 After successfully completing RAGBRAI, I went up to Camp Shalom, the camp that I worked at during my college years. Several of my camp friends were volunteering the same week, so we had a small reunion. We are now back home in Shanghai, getting ready for another school year. That’s all for now!